Every year I look forward to the LACASA Garden Tour. In part because it’s amazing to think I played a role in the initial concept of a local garden tour that raises so much money for its programs each year, but more because I just love to stroll through nature – whether it be natural or altered – it’s all just so beautiful and calming. I’ve always had a love of dirt. One of my favorite memories as a child is following the tractor in my bare feet as my dad plowed up a few acres of soil. I can still smell it and feel the fresh cool dirt squishing under my bare feet. Then came the sitting at the edge of the garage and snapping beans with Ma. I remember bushel baskets of beans fresh picked from the garden and we’d just sit there with the garage open and snap the ends off getting them ready for canning. I went through my phase of gardening and canning and still love the concept – but not so much the work. I know how much work is involved in creating a beautiful garden and I really don’t possess that kind of dedication or ambition. But I can truly appreciate the time and effort these owners have put into their gardens. Every year I am just amazed at the beauty of the LACASA gardens. I must say my favorite garden this year is the Allgood garden. It’s owners really have a knack for mixing found items with plant life – very eclectic! It was such a happy place to visit. 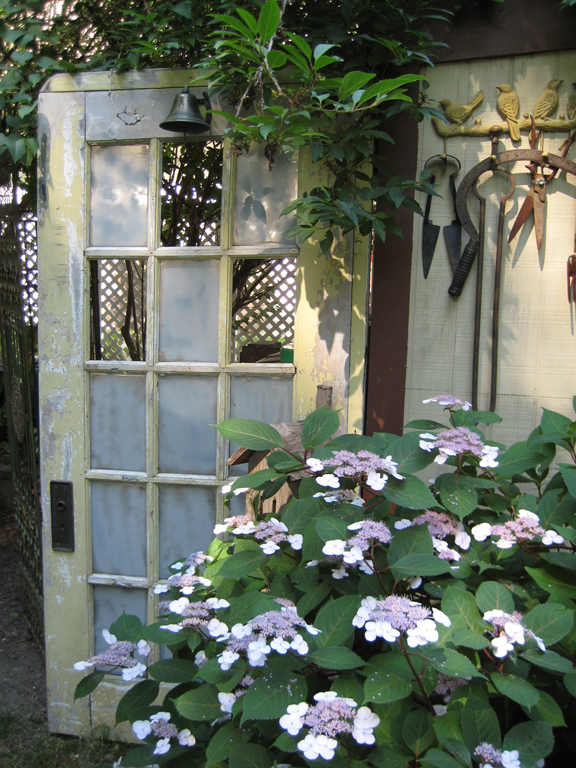 It’s where I took the most photos – gathering ideas for my garden – or should I say my garden journals. I think I’ll continue to just enjoy the efforts of others before going home and settling under the shade tree with a book and cold drink. I did! And the gardens were so lovely.